The Episcopate A Stewardship: A Sermon Preached in St. Paul's Church, Richmond, Va., at the Consecration of the Rt. Rev. Henry Champlain Lay, D.D., Missionary Bishop of the South-west, on the 18th Sunday after Trinity, October 23, 1859. Philadelphia: Episcopal Female Tract Society, 1860. A Shepherd Faithful and True: Being a Sermon Commemorative of the Right Rev. 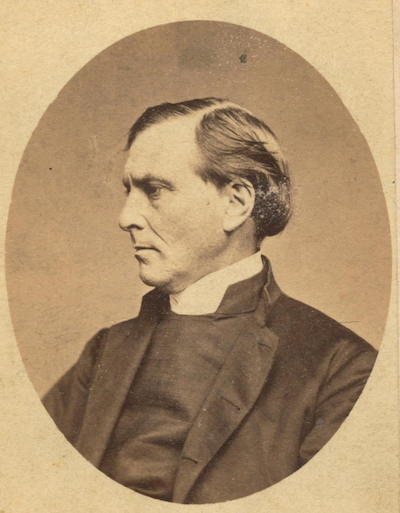 Henry Champlin Lay, D.D., LL.D., Delivered in Christ Church, Easton, Md., at the Special Diocesan Convention, November 18th, 1885. New York: American Church Press, 1885.
Letters to a Man Bewildered among Many Counsellors. New-York: General Protestant Episcopal Sunday School Union, and Church Book Society, 1854. A Sermon Preached in the Church of the Nativity, Huntsville, Ala., on the Fourth Sunday in Lent. New York: Thomas N. Stanford, 1856. The Contented Shunammite! A Sermon Preached in Grace Church, Petersburg, Virginia. Huntsville, Alabama: "The Democrat" Office, 1860. Pastoral Letter to the Clergy and Members of the Protestant Episcopal Church in the State of Arkansas. Memphis: Hutton & Freligh, 1861. A Few Hours with a Christian Man: A Memorial of the Late Alexis Irenée Du Pont. Wilmington, Delaware: Thomas Roberts, 1865. Little Rock: Woodruff & Blocher, 1868. Our Lord, the Pattern to the Bishops of His Church: A Sermon, Preached in Grace Church in the City of New York on the Occasion of the Consecration of the Rev. Charles Franklin Robertson, S.T.D., as Bishop of Missouri. The Man of God and the Consideration Due Him: A Sermon Preached before the Convention of Easton, June 10th, 1869. Pastoral Letter of the House of Bishops Read at the Closing Services Held in Calvary Church, New York City, Nov. 3d, 1874. The "Ardent Longing" of the Anglican Communion for Peace and Unity: A Sermon Preached by the Rt. Rev. Henry C. lay, D.D., LL.D., Bishop of Easton, in Christ Church, Raleigh, on the Occasion of the Consecration of the Rt. Rev. Theodore Benedict Lyman, D.D., Assistant Bishop of North Carolina. December 11, 1873. New York: American Church Press, 1874. 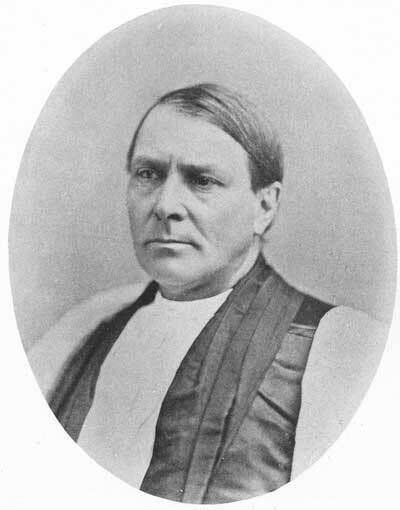 A Sermon Commemorative of the Late Thomas Atkinson, Bishop of North Carolina, Delivered in Christ Church, Raleigh, before the Convention of North Carolina, May 18, 1881. The Blessedness of Obedience As the Rule of Life: A Sermon Preached in the Chapel of Lehigh University on Sunday in University Week June 18, 1882. Reading, Pennsylvania: B.F. Owen, 1882. The Church of England in the Colony of Maryland: A Discourse Delivered in St. Paul's Church, Baltimore, May 29th 1883. Baltimore: William K. Boyle & Son, 1883. The Continuity of Law: An Address to the Convention of Easton. Baltimore: Steam Press of William K. Boyle & Son, 1884. Ready and Desirous: or, the Right Preparation of Candidates for the Laying on of Hands. New York: J. Pott, 1885. The Mysteries of Providence and of Grace as Illustrated in the Story of Lazarus.